Alexandra Lovinit greets every customer at Mark’s Bar with a smile. Even when that customer is wary about paying $6 for a cup of herb-infused coffee. “It has 21 adaptogenic herbs in it,” she explains brightly. “What does that mean?” her bleary-eyed customer asks. “It’s waking me up,” I chime in, sipping my own cup of the muddled brew. “Right on!” says the customer, now seemingly satisfied with her purchase. Alexandra’s boyfriend, Sunshine, hands the customer her “Cacao Bliss” coffee. He’s wearing a unicorn onesie, which seems like a weird choice for 10:30 a.m. until you remember that Mark’s Bar is part of the Unicorn Palace, which is part of Lightning in a Bottle, a transformational festival held on a lake in central California and at which unicorn onesies are only slightly less common than flower crowns are at Coachella. 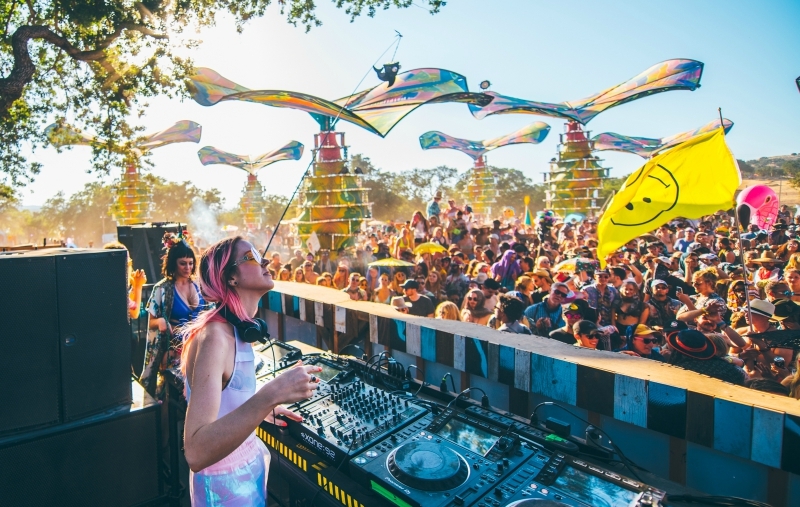 Once relegated to the outermost edges of the live music industry, transformational festivals are now a vital part of it—especially in California, where a dozen or more such events crowd the calendar. 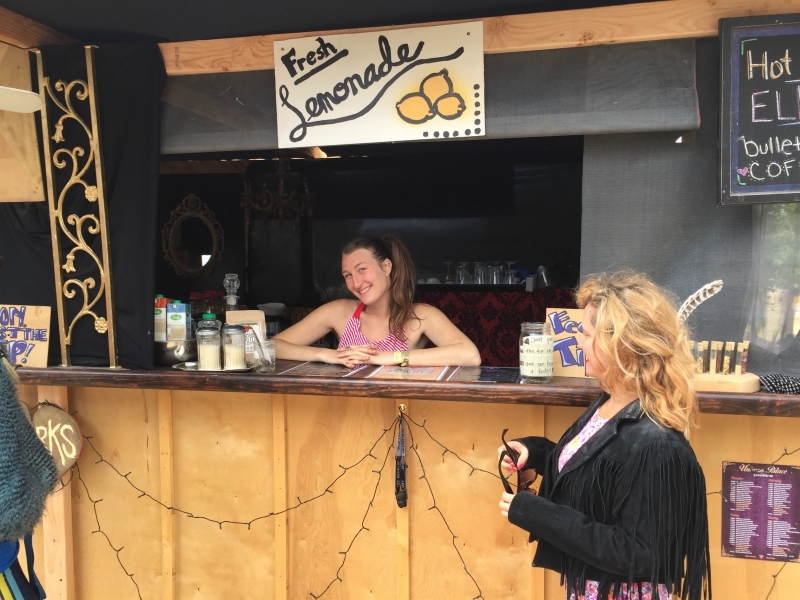 In addition to music, they typically feature yoga and meditation classes, TED Talk-style lectures, vegan and raw food vendors, and interactive art. Their roots can be traced to Burning Man, rave culture, Rainbow Gatherings, and the Grateful Dead, but they’ve evolved from those anti-consumerist roots. 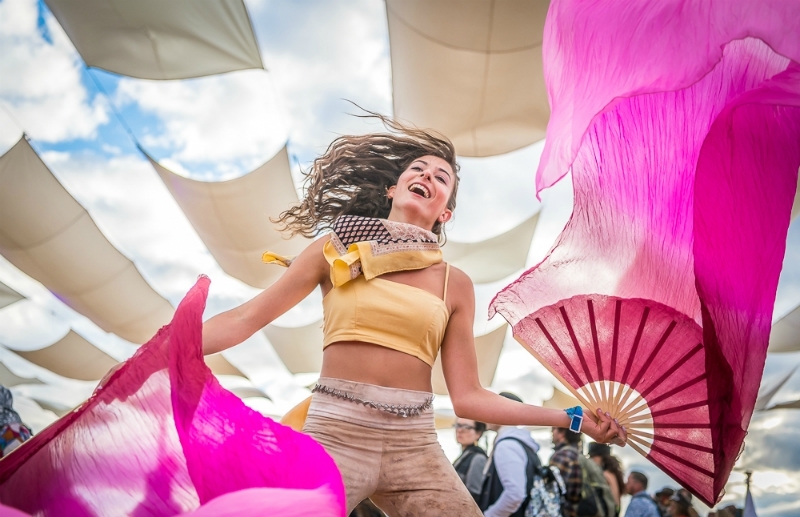 The biggest ones, like Lightning in a Bottle (LIB for short), are well-organized, professionally run events with massive stages, big-name headliners and VIP glamping packages that can cost upwards of $1,500. Transformational festivals have become so successful that bigger festivals now crib from them. As Tucker Gumber, a festival consultant and author of the book The FestivalGoer’s Guide, points out, even Coachella has yoga classes. So what makes a festival “transformational”? Gumber says having some kind of educational component is key (things like workshops and guest lectures, where you can “take time out of your day to upgrade yourself”), but more than that, it’s about the attendees themselves and the attitude they bring to the event. “I love transformational festivals because the people that go to them have already taken this step to understanding that we’re all a part of something,” he explains. “We are really hoping to engage people on subject matter that they might not have come to the festival thinking they were interested in, but they kind of wind up getting pulled into,” Bradford adds. 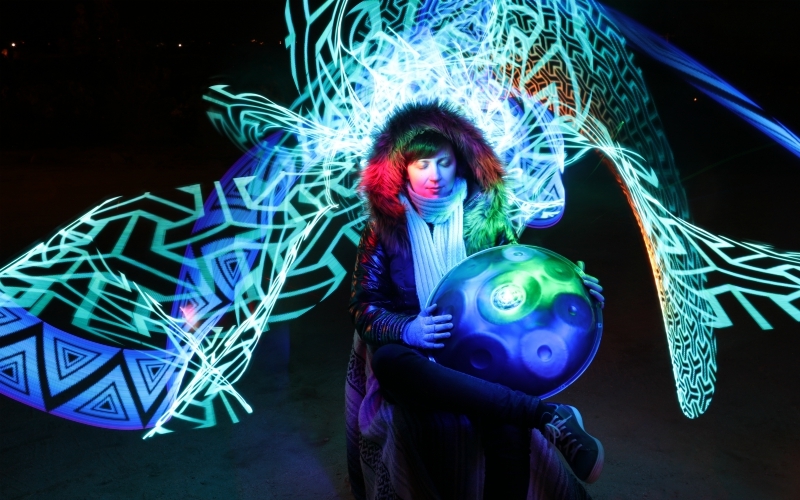 Martin Dragonfly’s career also revolves around the transformational festival circuit. 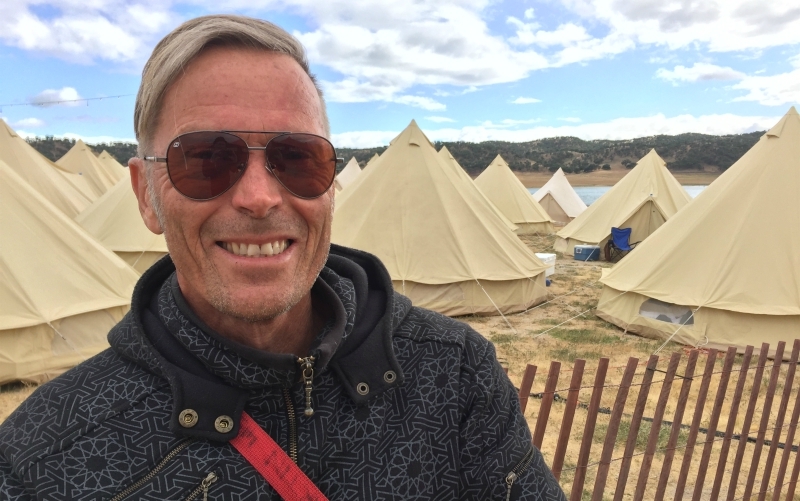 In addition to DJing (his Facebook page describes his sound as “trans-global whomp”) and running sound systems, he books and manages LIB’s yoga and movement classes, which take place in two tents from 8:30 a.m. until midnight every day of the festival. He does similar work for Symbiosis, Beloved Festival in Oregon, and Envision, a transformational festival held in a Costa Rican rainforest. Photographer Reid Godshaw, who claims to have attended more than 90 festivals over the past six years, agrees. Godshaw makes what he calls “light paintings”—time-lapse portrait photos in which he has people hold a pose while he waves LED lights around them, creating streaks and trails of color that seem to radiate out from the subjects’ bodies. He gets so much corporate and wedding work through his website, Harmonic Light, that he can afford to do his transformational festival portraits—8,000 a year, by his count—for free. As he works his magic on a delighted couple at LIB, twirling his lights across their rapt faces, it’s hard to disagree with him.